As Hillary Clinton steps down and speculations abound as to her making a Presidential bid in 2016 (something she claims is not on the agenda right now), the critics are out in force to discuss her legacy as Secretary of State. But Clinton, whether she really is done with US politics or returns in 2016, has a much wider legacy than that, and as many have said, if she runs for President, she will run not on her Secretary of State legacy but a platform that ‘Hillary can do it all’ – and isn’t that her real legacy? Isn’t that what is so inspiring about Hillary Clinton and her transformation in the last four years from a formidable but polarizing figure to one of the most popular politicians in the US, if not the world? 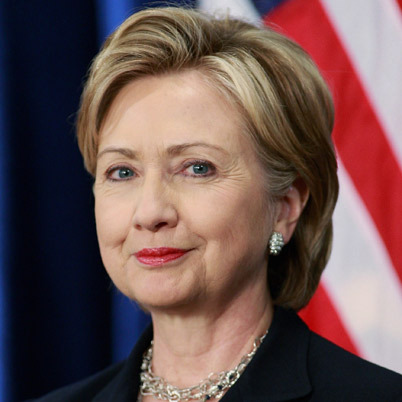 Hillary Clinton came to international prominence as the First Lady of the United States from 1993 to 2001. However, Clinton had been making an impact long before 1993, becoming the first female partner of Rose Law Firm (the oldest law firm in the US) in 1980, being named Arkansas Woman of the year in 1983 and advocating education reforms and for children’s rights during her twelve year tenure as First Lady of Arkansas. As First Lady of the US, Clinton led the President’s Task Force on Health Care Reform and continued to push her agenda for Children’s and Women’s rights, being the first First Lady to keep an office in the West Wing among the President’s most senior staff. In 2001 she became the first female senator to represent the State of New York and was re-elected by a wide majority in 2006. Narrowly losing the 2008 Democratic presidential nomination to Barack Obama, Clinton was subsequently appointed Secretary of State for the Obama administration in 2009. Four years later, she is stepping down, but not without leaving her mark. Clinton’s critics claim that she does not have a defining achievement like Henry Kissinger’s opening of the door to China or James Baker’s assembly of the first Gulf War coalition. According to the critics, Clinton has failed to make a major impact to mark her out among Secretaries of State – though many accept that under the Obama administration she wasn’t given the same free rein as many other Secretaries – but her supporters and admirers hit back, among them staff, politicians and the general public. And if we decide that failure to establish one defining achievement deserves severe criticism, do we really think that lack of one defining achievement has prevented Hillary Clinton from becoming a defining figure in our world? In a world where disillusionment with politics is rife, Clinton leaves her post with a close to 70% approval rating. As pointed out above, Clinton’s supporters and admirers come from all walks of life; her staff, fellow Democrats and Republicans alike, and the general public, in both the US and beyond. Clinton is a role model for women and girls across the globe, and has been for the last twenty years. Clinton has pushed and pushed herself, never giving up, working for her country and the world at large. She is inspirational and intimidating all at the same time. During her four years as Secretary of State Clinton celebrated her 37th wedding anniversary to her husband Bill Clinton and her daughter’s wedding, and has been repeatedly named one of the most influential women in the world. A few weeks ago I wrote a piece asserting that women could have it all; we might just follow a different path to achieving it than men. Hillary Clinton is the embodiment of women having it all. And as she enters life as a private citizen for the first time in twenty years and her critics complain that she failed to have one defining achievement as Secretary of State, one has to wonder: is one defining achievement really the optimum legacy? Will Clinton not having one defining achievement matter when the history books around the world are written? And more immediately, will it matter in 2016? After all, can Hillary not do it all?